I picked up this nail color last weekend and I’m smitten with the dove grey hue that’s accentuated with just a hint of shimmer. While I’ve only worn it for a couple of days, I don’t think it’s a stretch to say that this will be my go-to nail polish of the season. If grey seems a little humdrum for the holidays, I rounded up nine additional winter shades that will win you over this season! 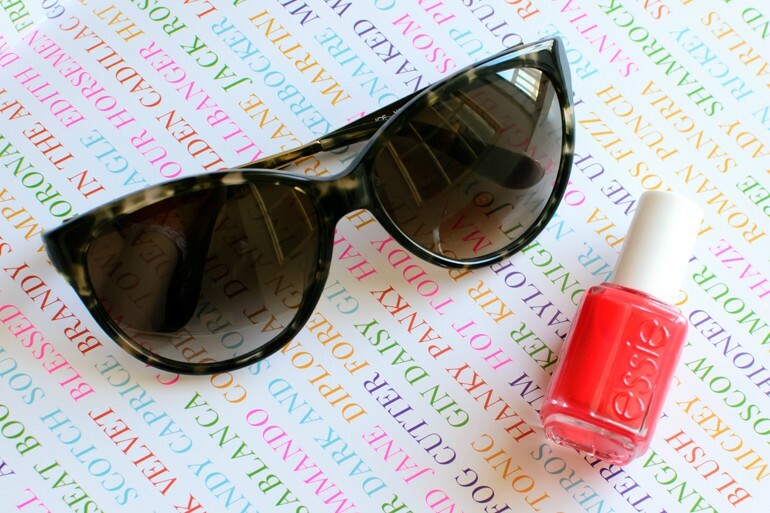 I’m enjoying a lazy Sunday seeking inspiration in a coffee table book, admiring my new sunglasses (yesterday’s T.J. Maxx find for $30), and applying a bright, red-orange lacquer. What are you up to? Monochromatic – Layer your favorite color with vibrant sandals and polish in a slightly different shade. 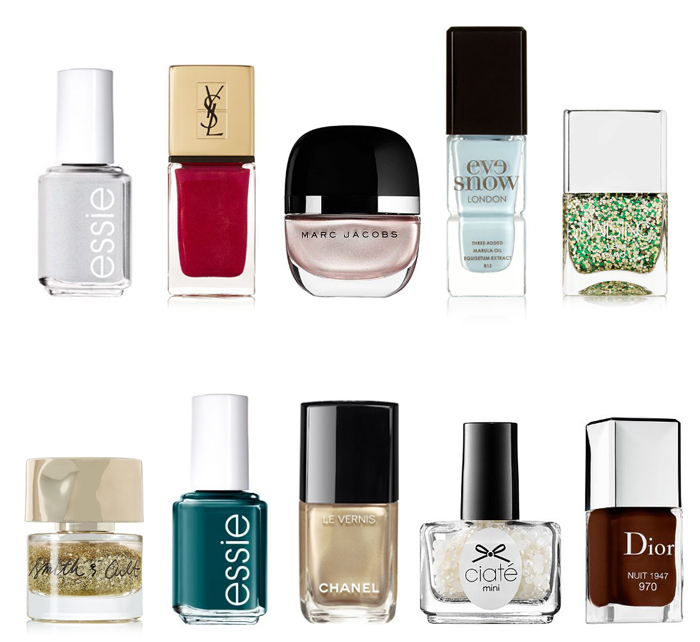 Neutral + Neon – Wear-with-everything sandals are the perfect backdrop for ultra bright polish. Pretty Pastels – Embrace your feminine side with candy-colored sandals and polish in another soft shade. Opposites Attract – Be bold with a bright sandal and an equally bright polish in contrasting colors. Friday indulgences: a swipe of Chanel “June” polish and white tulips.